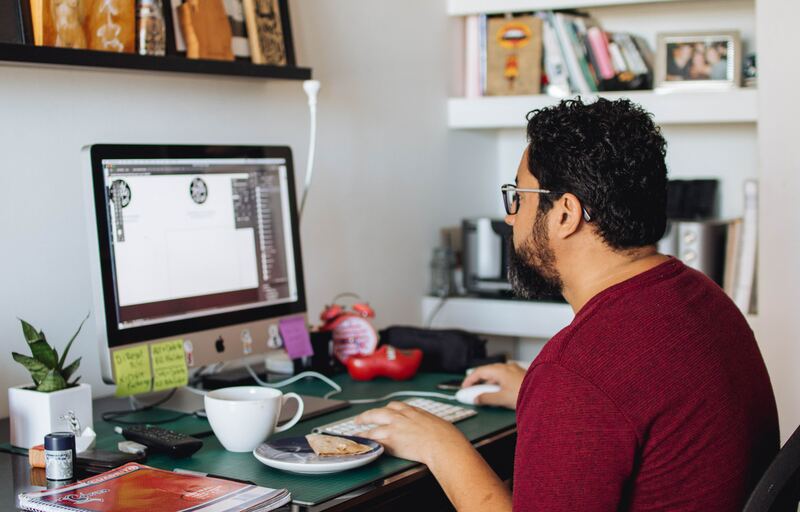 After sitting long hours in front of a computer, do you have the feeling that aches and pains are “inevitable”? You don't have to feel that way, and here's what you can do instead. Some relatively young people accept “aches and pains” as a normal part of aging with resignation that nothing can be done about them. However, there is no age “too old” to improve the way you feel in your body. It is possible — in fact, advisable — to build resilience against discomfort and tightness caused by a sedentary life. Before embarking on any program, Boulder-based personal trainer Devin Perreault advises, “Pain should be addressed by a professional.” Consult a medical doctor if you feel any severe or sharp pains when you move. In so doing, you’ll learn whether you need a specific treatment, a physical therapist, a corrective exercise coach, or to simply move more. This is where professional expertise helps. Recognizing the subtle differences between people’s abilities requires background knowledge and experience. Training helps you coordinate and sequence your movements to yield practical benefits. As examples, stretching eases the process of putting on shoes and socks. Regular cardiovascular movement makes travel that much easier. Training with weights helps make grocery hauls feel less of a burden. It might be easy to dismiss Perreault’s advice for the everyday person, given that he’s a strongman competitor currently working toward a 550 pound deadlift and a one-armed chin up. However, he works with people of all ages to develop stronger, healthier, more resilient bodies. Devin has been training his 97-year-old grandfather, Ernie Perreault, for over a year now. The two began working together as Perreault’s grandfather recovered from a serious surgery at age 96. 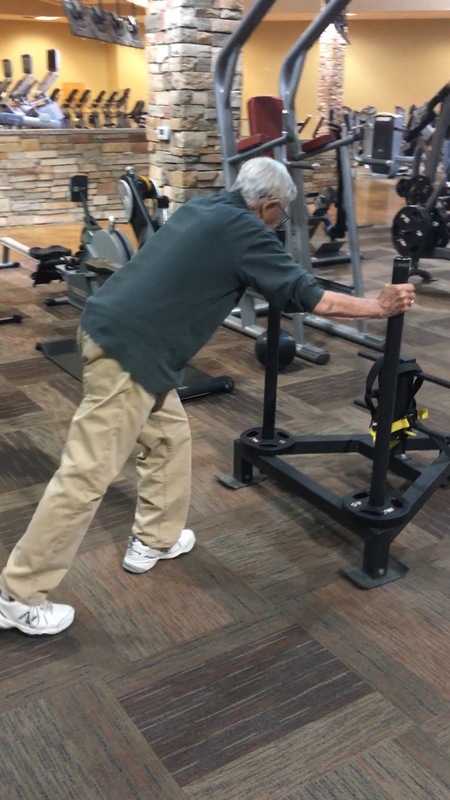 Just one year later, the 97 year old is pushing weighted sleds, doing box squats, and literally running short laps at his gym. The elder Perreault is no longer in pain and has gained strength and agility in the process. 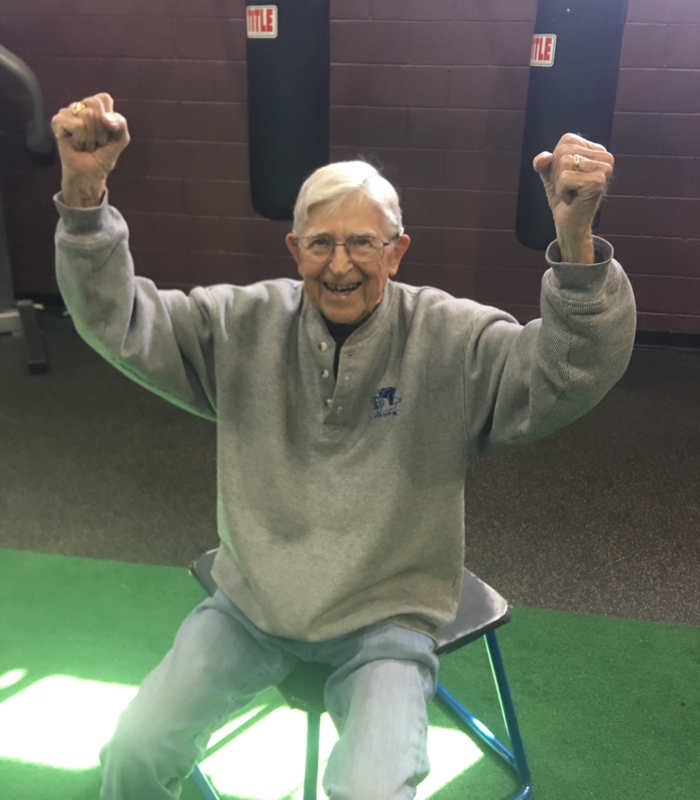 At age 97, Ernie just learned to push the sled and recently started running again. Even at 97, Ernie is getting stronger every day, and that’s a great way for most of us to approach aging. We can all take inspiration from 97-year-old Ernie Perreault, who has gained agility, strength, and stamina in the past year. Our bodies are made to move often, and in a variety of ways, for a lifetime. Know that your activities will affect the aging process and the way you feel with daily compounding effects. Clear steps exist to help us look better, feel better, and avoid pain. If you’d like to gain regular inspiration from Ernie’s journey to train to 100 of age and beyond, visit @97yearsyoung and @devin_strength on Instagram. Do You Want To Keep Your Body In Top Shape As The Decades Roll By?